Between the requirements of the North Dakota Department of Health and federal regulators, CNA classes in North Dakota must include no fewer than 75 hours of study with 16 hours dedicated to hands-on clinical experience and also provide for 100 hours of clinical rotation. This training usually takes the average full-time student approximately 8 to 13 weeks to complete. In order to be admitted to an accredited program, applicants must usually be a high school graduate or possess a GED, clear a background check and be 18 years of age. When a student has completed his or her training, he or she is eligible to sit for the NNAAP certification exam for a period of two years. Should the individual fail to pass the test in this time, it becomes necessary for them to repeat all of their prior training from the beginning. 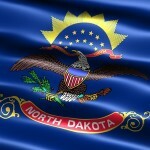 Eligibility to work as a CNA in North Dakota further depends on being listed in the North Dakota Nurse Aide Registry. With the greatest demand for nurses aides in North Dakota’s major metropolitan areas, CNA classes in Bismarck and Fargo represent the bulk of the state’s accredited programs. Where Does Your State Rank In CNA Salary? What Are The Differences Between Home Health Aides and CNAs? Check Out Our Latest CNA Video! !